This year, I travelled on Thanksgiving Day. 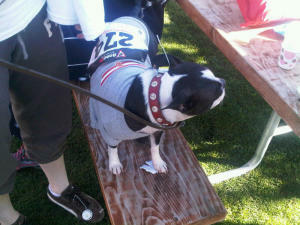 Since most of the turkey trots are run Thanksgiving morning, I was unable to participate in the usual races. 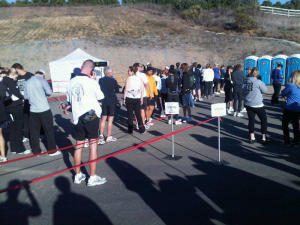 With some internet sleuthing, I happened upon a 10K race held on the Saturday after Thanksgiving in Temecula, CA at the Cougar Winery. 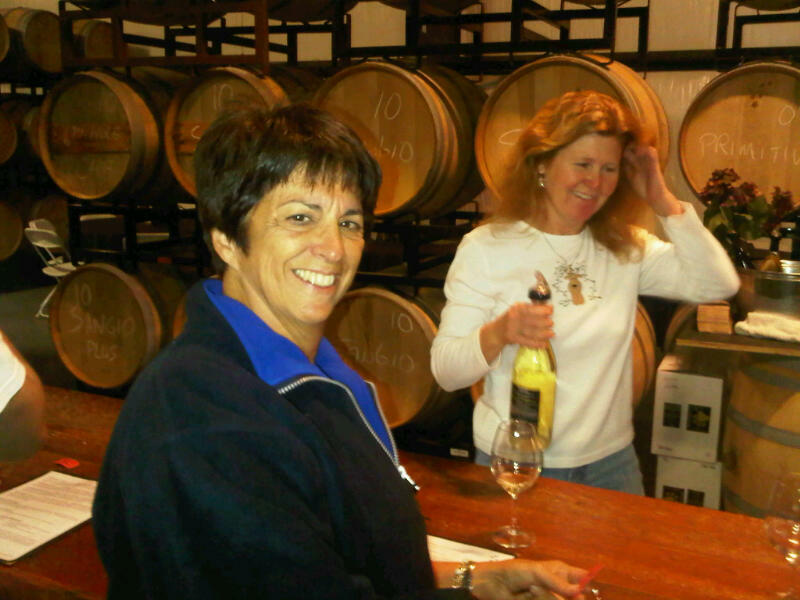 Temecula,a burgeoning city north east of San Diego, is most famous for its wineries. I had been to Temecula a few times previously and thought it was a perfect place for a running race. Rolling hills, lovely scenery and flowing alcohol, what more could one want? 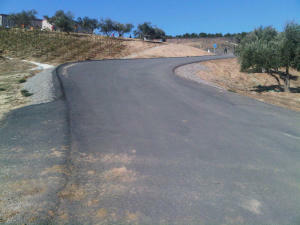 I did my due diligence and perused the course map and elevation profile. 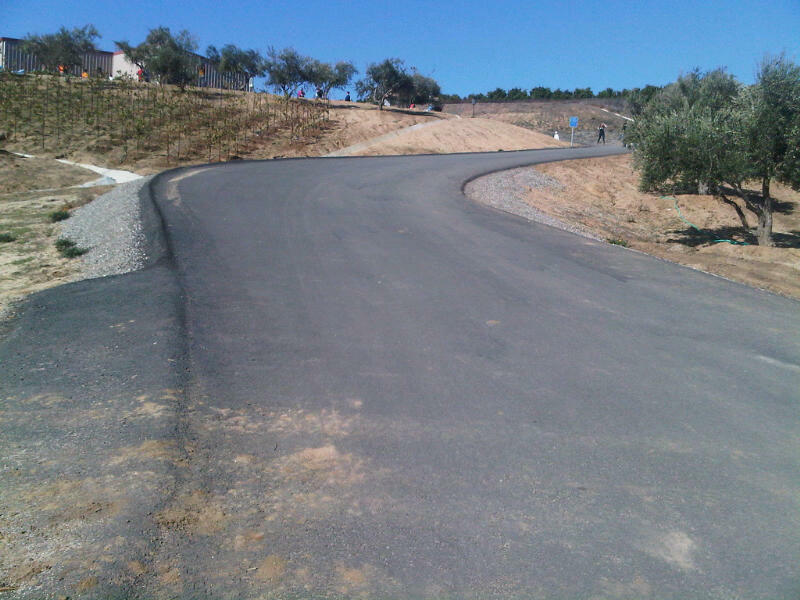 It was clearly designed by someone with a sordid sense of humor; the out and back layout was mostly downhill for the first half rendering the second half an uphill grind with a nasty upgrade to the finish line. Somehow, this elevation chart does not nearly capture the hill up to the finish. See those trees and building in the distance? That is the finish line. 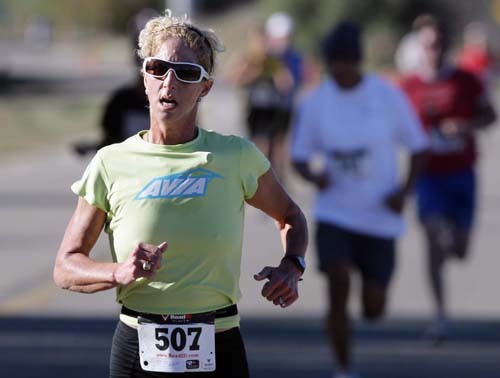 One of the things I enjoy most about running races is the relative ease in execution compared to a triathlon. You show up in the morning, pick up your race packet, pin your number to your shirt or race belt, warm up and then it is go time. All I had with me was a small bag to place my extra clothes. Of course, some things are universal to every race; the porta potty line is an unavoidable inconvenience to any pre-race preparation. 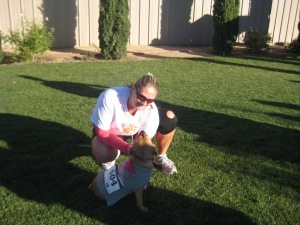 A unique aspect to this race was the ability to register your dog as a participant. For an extra five dollars (all proceeds from this race went to charity), your dog not only received the right to run, but also a bib number and a timing chip. I saw dogs of all breeds and sizes (the largest being a 165 pound Great Dane) donning t-shirts and sweaters with numbers fastened to them.There was even an award for the fastest dog. The race itself was a blast. 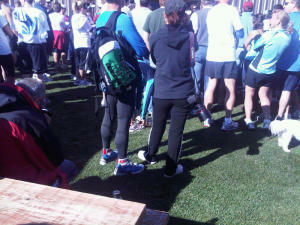 I had never run a 10K that was not preceded by a swim and bike. My normal race tactic is to negative split; the course did not allow for this method. I did try to pace myself on the first half to make sure I did not fall apart over the last few miles. Fortunately, I had a rabbit in front of me. One of the guys who had started off fast came back to me and by mile 4 I caught him. We jockeyed back and forth over the next few miles. I made a decisive move just before the 6 mile marker in an effort to break him before the final hill. Even though I gapped him, he caught me right before the finish line. My time of 36:37 was much faster than I had expected. The real fun began after the race. As part of the entry fee we received tickets for wine tasting. 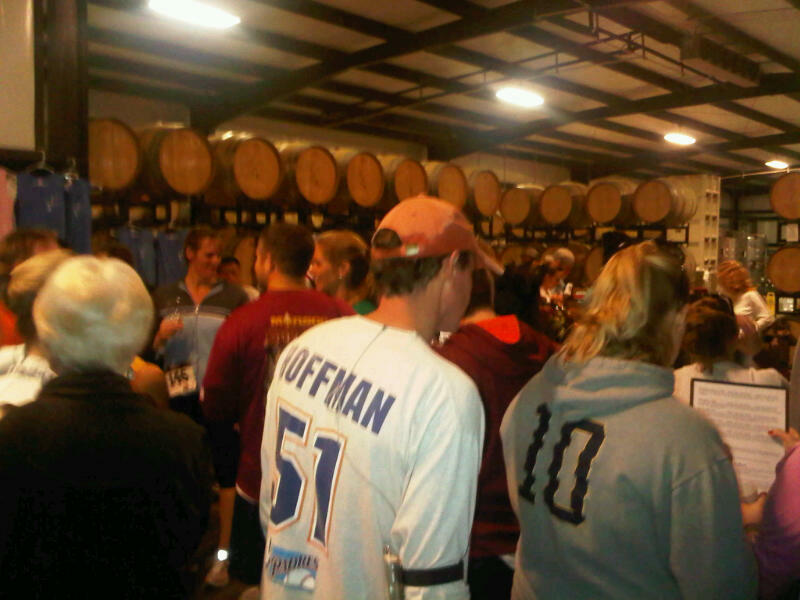 So, at 9:30 in the morning, my parents and I joined hundreds of other people in the tasting room for our turn at the bar. It was 5:00 somewhere! Waiting around for the awards is always a drag. 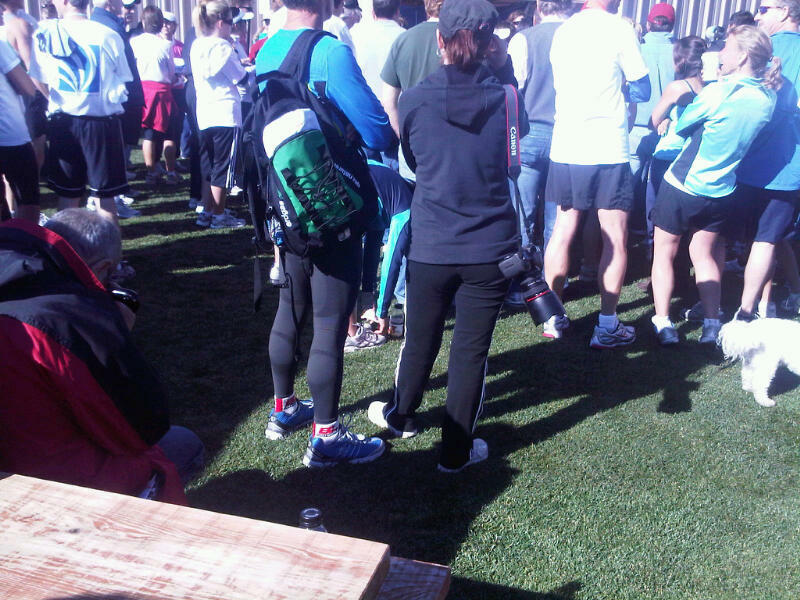 At least it gave me time to play my favorite game “Find the triathlete in the crowd”. Here were two that I spotted. All in all, a fun day at the races. 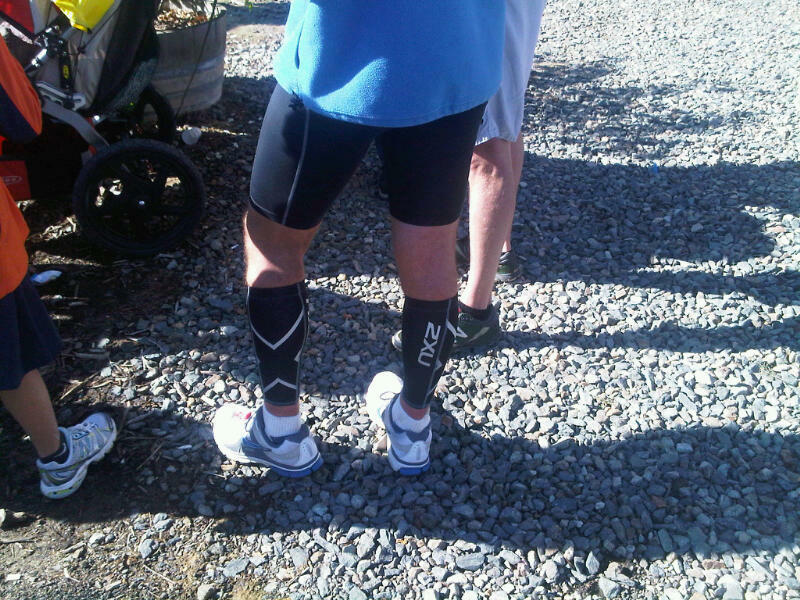 Why are we triathletes such douchebags some times….compression calf sleeves in a 10km?? Really, I mean really? Wine tasting post race is an excellent idea however and I may suggest it to the local race directors of the Vancouver Sun Run. 50,000 some-odd people show up for that one, complete chaos, but perhaps some vino would ease the pain?